Depending on your individual spiritual path, there are many different ways you can celebrate Litha, but the focus is nearly always on celebrating the power of the sun. It's the time of year when the crops are growing heartily and the earth has warmed up. we can spend long sunny afternoons enjoying the outdoors, and getting back to nature under the long daylight hours. Here are a few rituals you may want to think about trying. Remember, any of them can be adapted for either a solitary practitioner or a small group, with just a little planning ahead. Before you get started with ritual, think about preparing your household altar for Litha. Hold a Midsummer Night's Fire Ritual, and celebrate the season with a big bonfire, or if the idea of a daytime ritual appeals to you more, hold a Midsummer Sun Celebration to mark the summer solstice by honoring the sun. Prefer to spend some time alone at the summer solstice? Not a problem! Add these simple Litha prayers into your summer solstice rituals this year. Are you headed to the beach this summer? Take advantage of all of the magic it has to offer, with Seven Ways to Use Beach Magic. If you have little Pagans in your family, you can get them involved in the festivities too, with these 5 Fun Ways to Celebrate Litha with Kids. Finally, if you're not sure how to get started celebrating Litha, try these Ten Great Ways to Celebrate Litha. Interested in learning about some of the history behind Litha? Here's some background on Midsummer celebrations—learn who the gods and goddesses of summer are, how they've been honored throughout the centuries, and about the magic of stone circles! 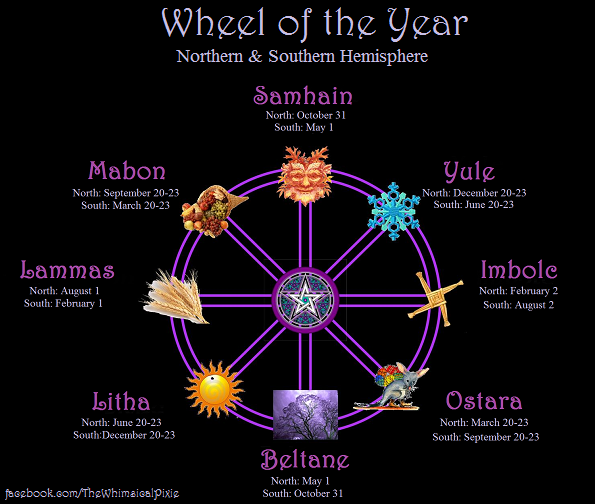 Let's start with a quick look at the history behind the celebrations of the summer solstice, as well as some of the customs and traditions of Litha. Many cultures have honored gods and goddesses of the sun, so let's look at some of the Deities of the Summer Solstice. There's also a seasonal legend of the battle between the Oak King and the Holly King. There's a ton of solar magic and myths and legend out there, and many cultures have worshiped the sun as part of religious practice throughout time. In Native American spirituality, the Sun Dance is an important part of ritual. The summer solstice is also associated with festivals such as the Vestalia, in ancient Rome, and with ancient structures like the stone circles found all over the world. This is a great time of year to get outdoors and gather your own herbs. Want to go wildcrafting? Be sure you do so respectfully and responsibly. Last but not least, if you are looking for some summer reading, be sure to stock up on some awesome witchy fiction! June is a traditional time for weddings, but if you're Pagan or Wiccan, a Handfasting ceremony may be more appropriate. Find out the origins of this custom, how you can have a fantastic ceremony, selecting a cake, and some great ideas on gifts for your guests! In a historical context, handfasting is an old tradition that has seen a resurgence in popularity lately. There are plenty of ways to have a magical ceremony that celebrates your spirituality as part of your special day. You may even want to invite some of the deities of love and marriage to be part of your ceremony! If you're not sure about how to have a handfasting, make sure you've got someone who is legally able to perform it, especially if you're looking for a state-licensed marriage. You can use a basic handfasting ceremony template as a structure for your ceremony, and you might want to consider a Pagan-friendly custom like broom-jumping as part of your celebration. Don't forget, you'll need a cake! Keep a few simple tips in mind when you're selecting your handfasting cake. As Litha approaches, you can decorate your home (and keep your kids entertained) with a number of easy craft projects. Celebrate the sun's energy with an elemental garden, a fiery incense blend, and a magic staff to use in ritual! You can make magical items as well, like a set of Ogham staves for some summer divination. Want to keep your home decor simple? Whip up a Litha blessing besom to hang on your door as a welcome to your summer guests.